Sharon's gifts and talents are truly anointed. She allows the Lord to use her through her music and radio ministries and gives all the praise to her Lord and Savior who has blessed her more than she could ever have imagined. 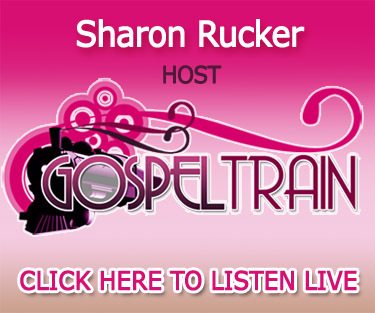 Contact Sharon to broadcast your sermons, to place business ads, and to broadcast your church announcements. As a pianist and soloist, she is also available to sing and play for your special occasions, to substitute for your church services, to play for weddings and serve as mistress of ceremony for your special events. If you seek serious praise mixed with a lot of love and fun, you don't want to miss one minute of The Gospel Train.